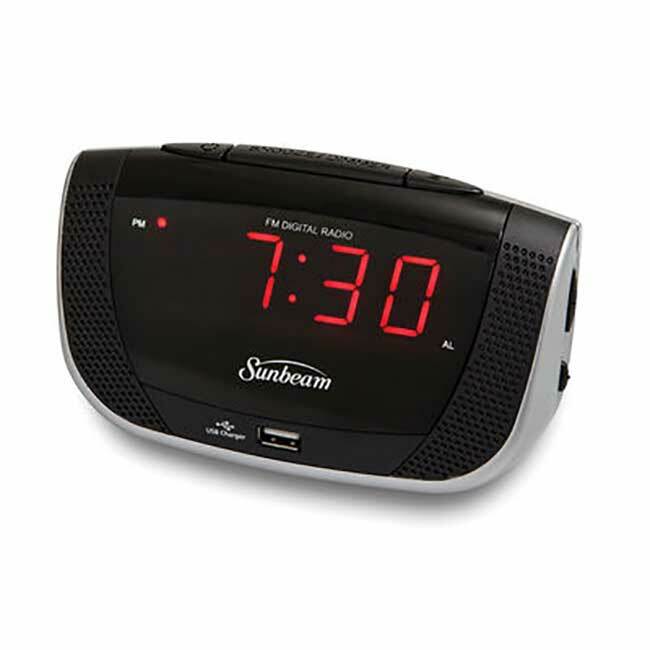 Sunbeam AM/FM Alarm Clock Radio | America Galindez Inc.
Red LED readout to sleep better and to see time more clearly on waking. Stylish, small footprint design - PM Time lighted indicator. FM antenna built right into the power cord. 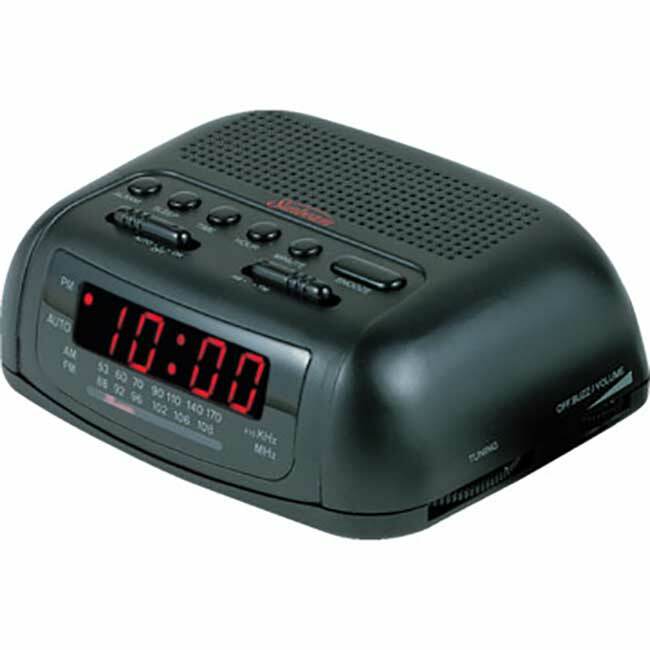 This space-saving compact AM/FM Alarm Clock Radio fits easily on a nightstand and comes with all the basic features your guests will need. 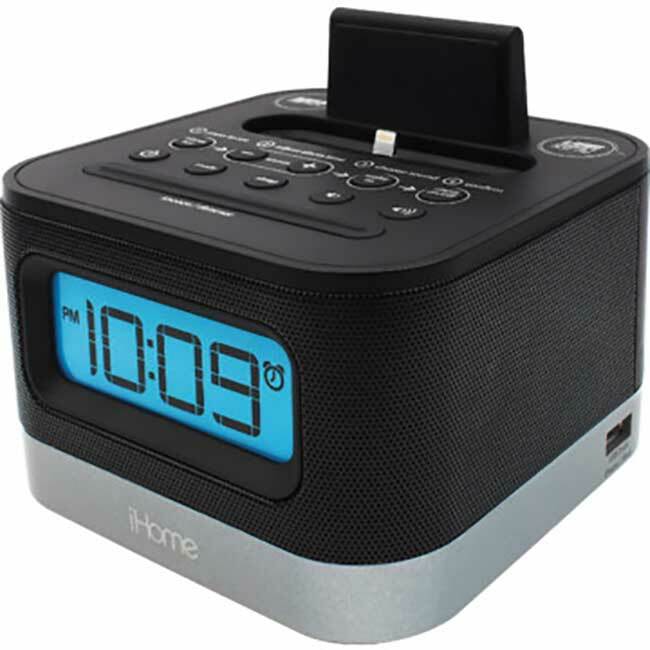 Its dual alarm, radio or buzz lets guests wake the way they want. 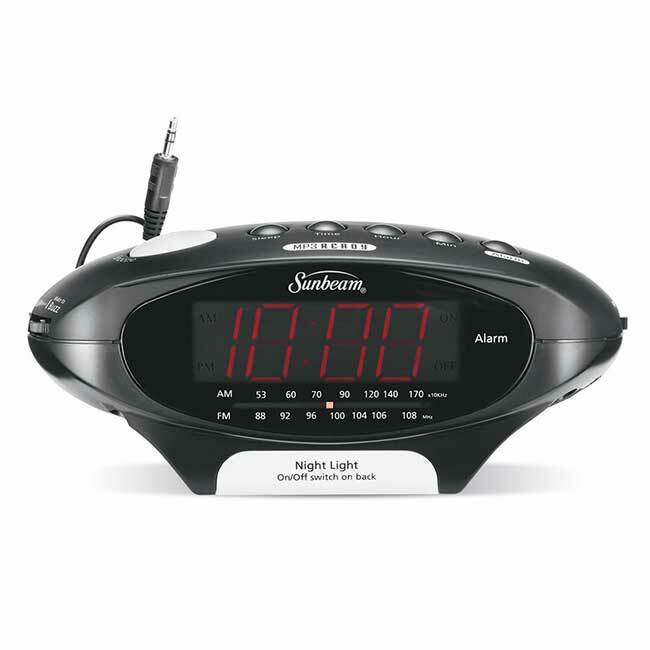 The 0.6 inch display includes alarm on/off and AM/PM indicators. All this in a small footprint with a full 1 year warranty.